A hormone produced by the liver called fibroblast growth factor 21, or FGF21, might play a role in curbing your sweet cravings, suggests a recent study published in the journal Cell Metabolism. The brain and gut (which includes the liver) work together in what’s called the central reward system to control what we like and choose to eat – including sweets. Differences in that system can promote unhealthy eating habits, which can lead to obesity, cancer, diabetes, and heart disease. Scientists from the University of Copenhagen investigated whether people who have variations of the gene for FGF21 eat more sweets, such as cake, pastries, and candy, compared to people who do not have the variations. Their study builds on earlier research in mice and monkeys showing that FGF21 suppressed the consumption of sweets. 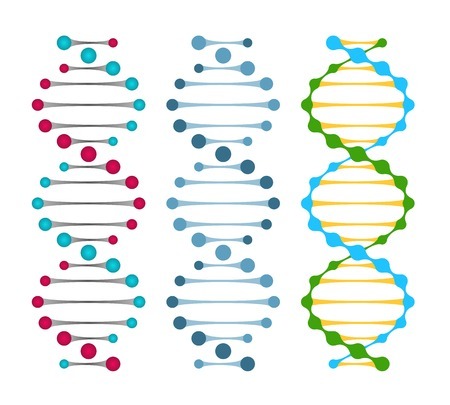 The researchers analyzed the genetic makeup of more than 6,500 people between the ages of 30 and 60 who participated in a large, population-based study in Denmark, called Inter99, to determine if they carried a particular FGF21 gene variation. Next, they categorized the participants who carried the variation by how many sweets they ate, based on answers they had provided using a food frequency questionnaire. Participants had also answered questions about if they drank alcohol or coffee and whether they smoked tobacco. The researchers found that the participants who had the genetic variation were nearly 20% more likely to eat a lot of sweets compared to the participants without the variation. They also were slightly more likely to drink alcohol or smoke tobacco, which are both strongly linked to increased cancer risk – although more research is needed to confirm this. Surprisingly, even though the participants with the genetic variation ate more sweets, their total calorie intake wasn’t higher than those without the variation, and they tended to have lower BMI and waist circumference and better blood sugar control. In a parallel study, the researchers wanted to see if the blood level of FGF21 differed between people who like sweets and those who don’t. They asked 86 lean, healthy young adults whether they liked or disliked sweets. The researchers measured the participants’ FGF21 levels after a 12-hour fast and discovered that FGF21 levels in those who disliked sweets were 51% higher compared to those who liked sweets. Then, to determine how much FGF21 the liver produces after drinking something sweet, they asked 41 of the participants to drink a sugary solution that contained about 15 teaspoons of sugar, roughly the same amount as in two 12-ounce sugar-sweetened colas. Blood samples taken after fasting showed that the amount of FGF21 in both groups began to increase about one hour after drinking the sugary solution, and by two hours it had peaked at 193% of their fasting levels. These findings suggest that FGF21 influences the appetite for sweets in humans, and offers one explanation for personal taste and diet preferences. Research on FGF21 and other hormones produced in the gut opens a new area of study to understand appetite regulation. The study was supported by Danish Council for Independent Research, the Tripartite Immunome- tabolism Consortium (TrIC)- Novo Nordisk Foundation, a Novo scholarship, Rigshospitalets Forsknings- fund and the Novo Nordisk Foundation Center for Basic Metabolic Research. Thanks to Teresa Johnson for guest blogging. Teresa L. Johnson, MSPH, RD, is a nutrition and health communications consultant with a long-time interest in the role of plant-based diets and cancer prevention. Her work draws on elements of nutritional biochemistry, phytochemistry, toxicology, and epidemiology. I commend them for doing such study. I think this can help us understand more about a person’s diet preferences and how to maintain a good diet. Good work in sharing this article. It’s quite informative and interesting to read.